We left Iloilo at around 8 in the morning and hopped on a bus bound for Caticlan. It was a 6-hour journey with a few stops in Capiz and Kalibo. It was tiring since I only had 5 hrs of sleep prior the trip. Finally, at around 2PM - TOUCHDOWN BORACAY ISLAND! I wasn't surprised to see a lot of people in this island because it is one of the most famous summer destinations of the Philippines. 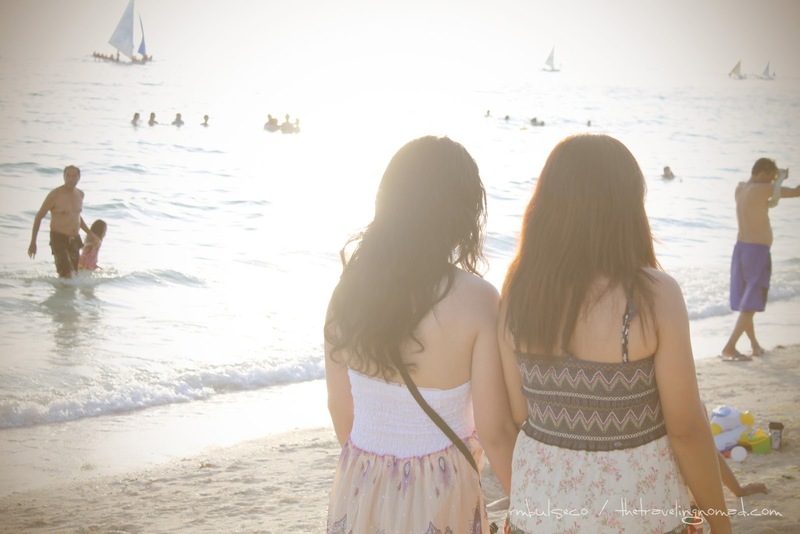 It was our first time to be in Boracay and we were all excited. It was a vacation as well as a family affair - my cousin's beach wedding. After we checked in at Casa Pilar, we hurriedly went to the beach. Ate and mama were all excited to feel the Boracay sand. Unlike other beaches that we've visited here in the Philippines, the sand in Boracay was powdery white. While walking along the shoreline, a lady from Asturias Hotel approached us. "Are you Filipino? ", the lady asked with a heavy Filipino accent. The three of us got caught off guard by her query. There was silence. Again, she asked, "Uhm... are you Filipino?" The four of us bursted to laughter. The lady might have mistaken us as foreginers - me as a Middle-eastern dude (blame it on my beard) and my cousin as a sossy Koreana. LOL. Then, the lady offered us a free dinner to the newly opened Asturias Hotel which was highly endorsed by Boy Abunda. Too bad we can't avail their free dinner because we were going to have a family dinner later. Basking under the sun made us hungry. Good thing, Yellow Cab answered our gastronomic needs. Yep, so many people in Boracay... but I loved it! And now, the moment that I've been waiting for a long time: the Boracay sunset! I really loved sunsets, how the sky changes its colors from sparkling yellow to molten red as the sun sinks to the western horizon. Whenever I gaze at a sunset, I always have these strange feelings in me - a deep sense of wellbeing washing up with the last of the fading beams, yet on the other hand, a sense of missing potential as though life was meant for something more than what I've yet lived. And the sun... will set for you. Panalo talaga sunset dyan sa Boracay no need to adjust settings sa camera maganda pa rin kalalabasan. I know right! No need to edit the photos talaga! ganda ng sunset! 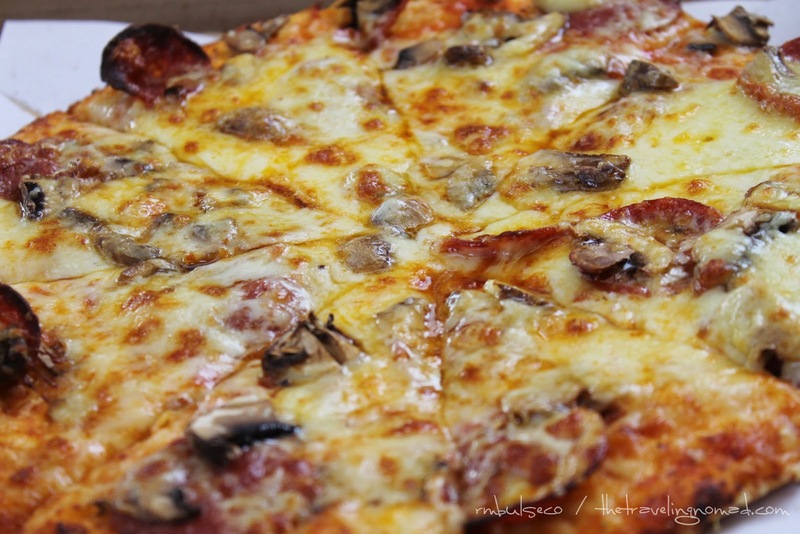 yellow cab pala yun, parang ang sarap! Akala ko ba na solve na ni shaver ang terrorista-ish look mo? lelz. I missed a lot of place in Philippines especially Boracay .i hope to go there one day with my family to see the beautiful sunset,white sand and eat pizza. S0oo Love the Pizza! And what more? Boracay.. gahd. perfect summer escapade! I love Boracay's sunset especially in the area at Willy's Island. I love seeing the sunset from Boracay's view. It spells something amazing which could be beyond imagination. boracay, kelan kaya ako makakapunta dito? time and money, sinong pwede magpahiram... hahaha. nice pics, bro. Yahweh bless. ang ganda ng sunset photos mo, kuya renz. Mom looks young but she's already 45. Hehe. Thanks! I love your reflection.. full of hope! I feel with you.. 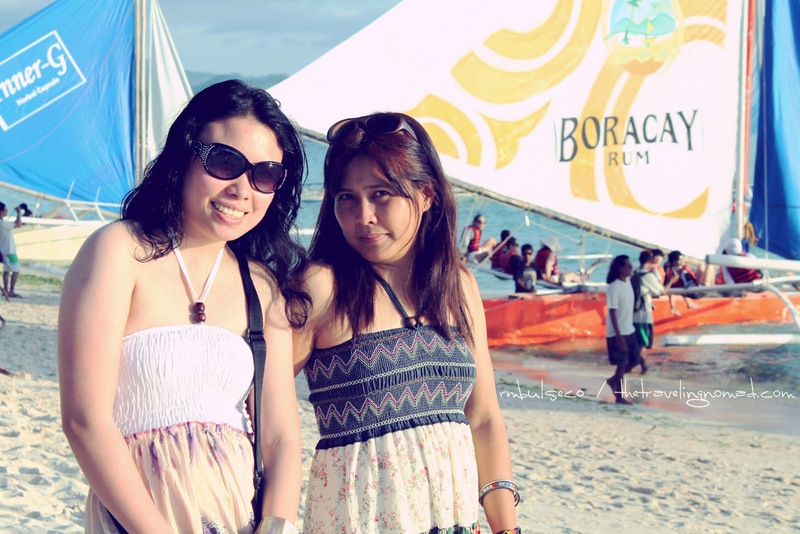 I believe it's God compelling us to do better with our lives.. thank God for Boracay! great photos! the pizza is mouthwatering, love it! Hi Renz! You make me more excited to see Boracay! wow! so this is where you were after Iloilo! nice photos. I always love sunset photos-dramatic! your mom looks like your younger sister haha!! Lovely sunset pics! great shots! Boracay is really a lovely place to spend time with family! Lovely pictures. Kelan kaya ako makakapunta diyan? Puro Davao, Manila or Gensan lang naaabutan kong trip eh. haha. 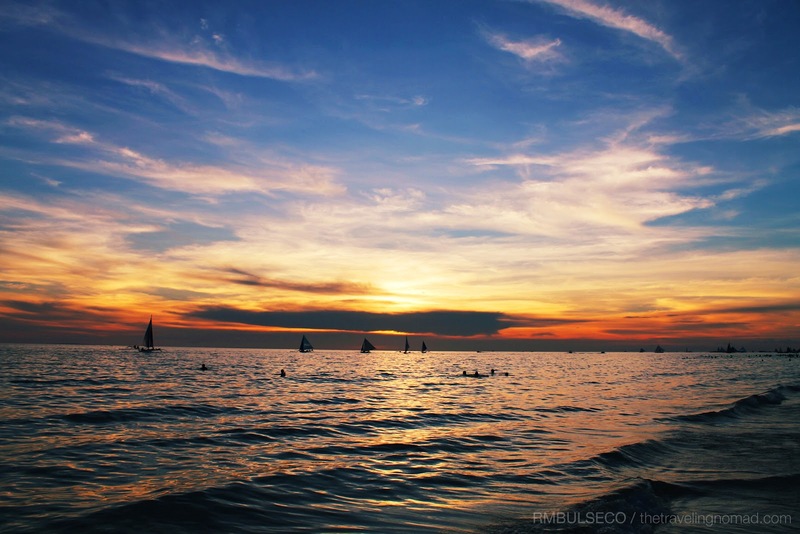 I've been there twice and still I could never get enough of the spectacular Boracay sunset. I hope that I can go to Boracay this year. Haven't made plans yet but I think I finally want to go there. Hehehe! "As I watch the sun slowly descend upon the world, I am always struck by a strange and timeless thinking that the world is still full of possibilities." Love the sunset photos and your insights about the sunset -- that ended with Dramatero.com! lol.